He’s going to need a vacation after this vacation. 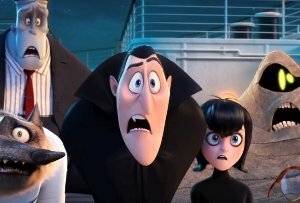 In the third episode of this popular series, Mavis surprises Dracula with a family voyage on a luxury cruise ship so he can take a vacation from providing everyone else’s vacation at the hotel. Everyone decides to go with for the holiday. Once they leave port, the ocean air kicks in and soon romance arises when Dracula meets the mysterious ship captain, Ericka. Mavis smells trouble and tries to keep them apart. Little do they know that the captain is actually a descendant of Abraham Van Helsing, ancient nemesis to Dracula and all other monsters. 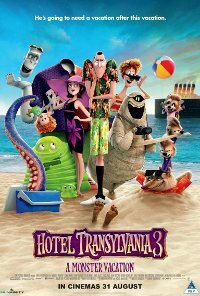 This film is releasing in 2D, 3D and 4DX. This is the 2D version. Violence Infrequent, low impact, fantastical, animated and unrealistic, violence which does not result in injuries or blood-letting.